In the realm of weight loss, there are a number of popular supplements that can help you speed up shedding the pounds. In this comparison, we have Slimquick vs. Hydroxycut. 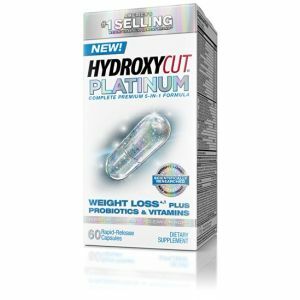 These are two well-known supplements that are designed to help their customers lose more weight that they normally would on a regular diet. Let’s see if one, both or none are effective at what they do. And how they go about doing it. Cutting down on your body fat percentage is one sure of achieving better health and fitness. It’s no wonder that many folks, especially women, are trying and using some of numerous fat burners in the market today. However, given the wide variety of products and the varying features and results touted for each product, many current and potential users are not sure which product they should get. This is especially true when it comes to the Slimquick vs. Hydroxycut debate. Both products are among the most well-known weight loss solutions around. They’ve been around for a while and have people saying that they’ve achieved results following them. To make the best decision, it is vital to understand these products. And as such in comparing them, we consider the following aspects. Both products are manufactured and marketed as excellent fat burners. 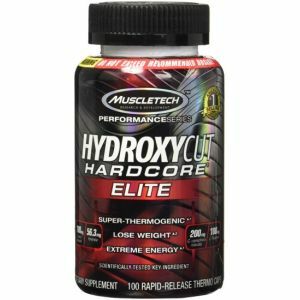 However, you will note that while Hydroxycut is packaged as a product for both men and women. Slimquick on the other hand is not. Rather it is it specifically made for women. While it may raise the question whether burning fat has any gender-specific requirements, we do understand that both the male and female bodies are different. And one of these differences is how each of them goes through metabolism. Both products contain caffeine. This component is known to contain several fat burning properties. The caffeine in Slimquick is derived from the tea ingredients that go into producing it. It carries BioPure green tea which helps in generating body heat. This heat is what helps in burning more fat. It also contains capsicum and Rhodiola extracts, both ingredients known to promote fat loss. The caffeine in Hydroxycut meanwhile, comes from the green coffee extraction and caffeine extraction that are part of its ingredients. Other components include lady’s mantle extract, wild mint extract, antioxidants, vitamin D and wild olive extract. Both products are hailed as perfect solutions to burning body fat. And in both products, caffeine is one of the main active ingredients pivotal for the realization of this outcome. It also prevents your body from absorbing more fat from the food you eat. It increases the body’s rate of metabolism. And finally, it enhances your energy levels so that you can easily remain active through the day. So while their end goals are different, these two weight loss supplements work very differently. Albeit there are some overlap in how they function. 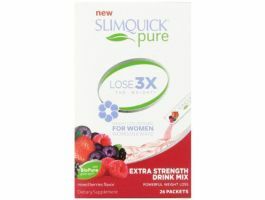 Slimquick promises to help women lose 3 times the weight they normally would with a traditional diet. It takes about 13 weeks to see this kind of difference. This is compared to the more conventional 8 pounds that one can lose with a regular diet. The maximum amount lost during this duration is capped at 25 pounds though there is no exact amount of average weight that one can lose. It should not be taken less than 30 minutes before meals. Neither should it be taken 5 hours before going to bed. Here’s where the 2 products go separate ways. Slimquick seems to lacks research evidence to back its claims. Hydroxycut on the other hand prides in research that features the effectiveness of its main ingredient, green coffee extract. Do keep in mind though that it’s not Hydoxycut itself that’s mentioned in the research. Instead it’s the main ingredient used in their product. As such, Hydroxycut is backing its claim to helping your lose weight by association to green coffee extract. So take that for what it is. The findings show the potency of this ingredient in enabling regular consumers to lose about 10 pounds of body weight in about two months. 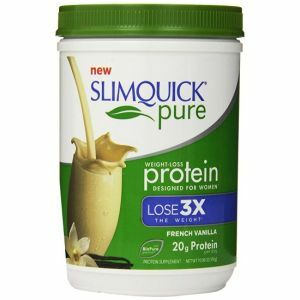 Such apparent research to back Slimquik’s claims seems to be lacking. While the effectiveness of these products is not at stake here it is vital to remember that both contain varying amounts of caffeine. Users are advised to bear this mind as they opt for any of these fat burners.